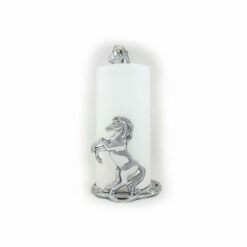 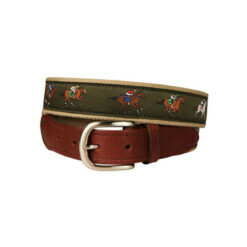 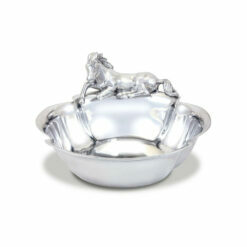 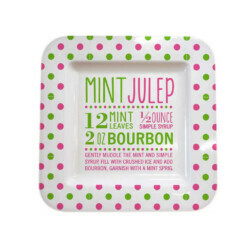 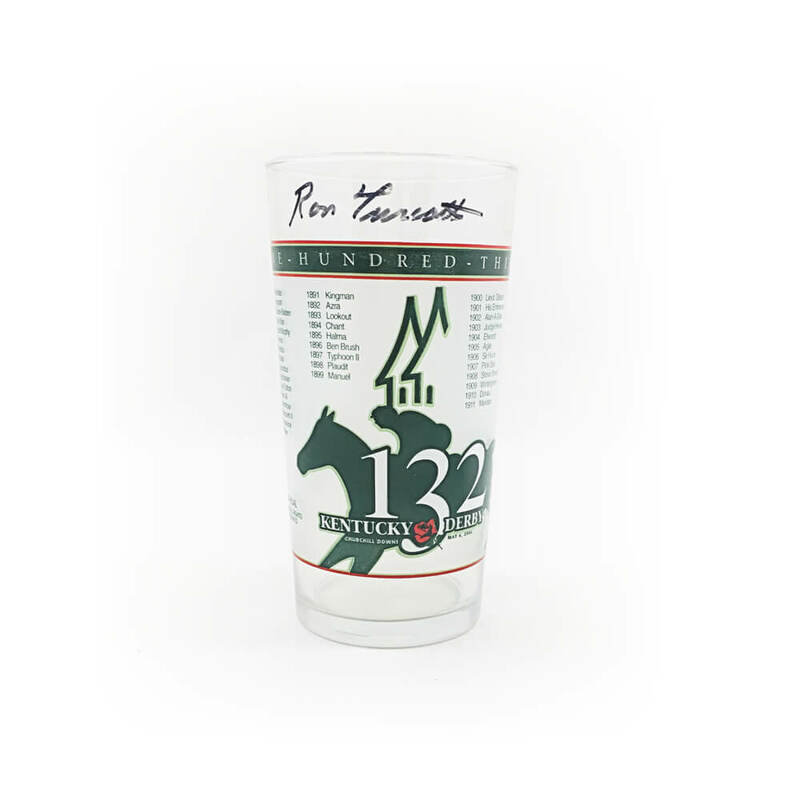 In 2006, Churchill Downs created their mint julep glass for Kentucky Derby 132, but added something a little different. 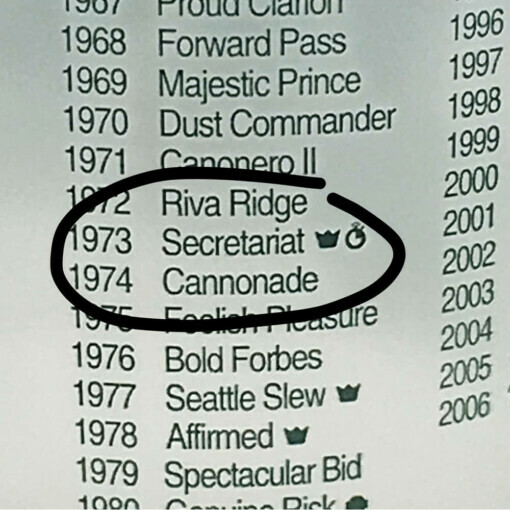 Next to Secretariat’s name on back of the glass and the Triple Crown symbol, then added a stop watch symbol indicating the track record of 1:59 2/5. 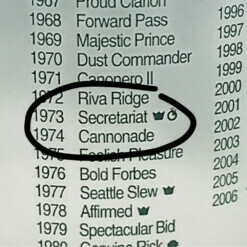 The record time still stands, but the stopwatch symbol was there for only one year, 2006. 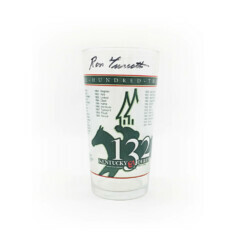 Only 12 glasses available, signed by Ron Turcotte, the jockey of Secretariat.